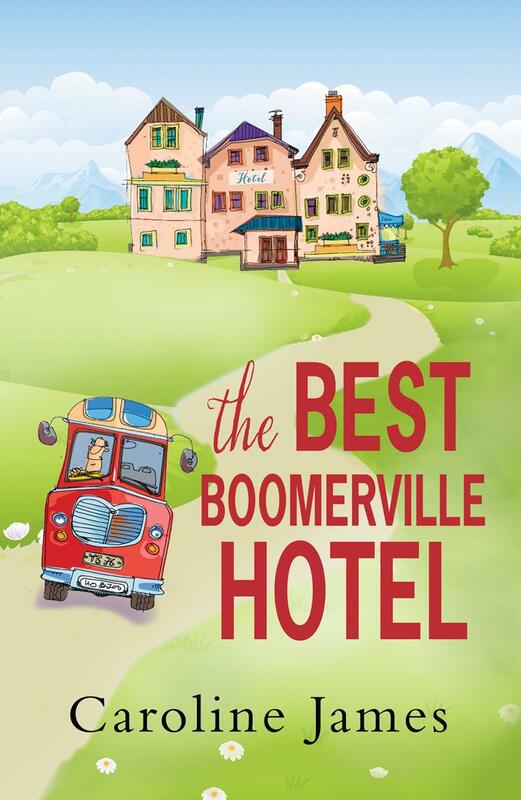 Today, I am delighted to host an extract from the amazing new book The Best Boomerville Hotel by Caroline James. The writing class had finished for the day and Kate decided to take a stroll. A chill in the air, a harbinger of autumn, was sharp and crisp and soon cleared her head as she walked across the courtyard into the garden, zipping her quilted jacket and pulling on a pair of gloves. Writing longhand in class all day had strained muscles in her fingers that were tired from years of perpetually tapping on a keyboard. Kate felt a stabbing pain and thrust both hands deep into the warmth of her pockets. The discomfort was worrying and she wondered what she was going to do to stop the spread of arthritis. Opening an iron gate, Kate stepped into the meadow. She looked up and saw the tepee where puffs of pale grey smoke rose from an opening at the top. A breeze carried the swirling matter towards the fells. She could hear faint chanting, it came from inside the tepee and the vibrating sound reminded Kate of a swarm of bees. She paused to listen. ‘Namaste,’ a voice called out. Kate spun around and was startled to see the Shaman stood before her. ‘Will you join us?’ he asked and moved a length of brightly covered canvas to one side, indicating that Kate step into the dark abyss beyond. ‘That’s very kind,’ Kate mumbled, ‘but I think I’ll pass for now, perhaps later in the week?’ She didn’t want to offend the man but had no intention of venturing into the tepee. The Shaman looked down. He placed his palms together as if in prayer and bowed slightly. ‘You will come when the time is right,’ he said. Kate felt her feet turn to stone. ‘What is it that you do in there?’ she asked, rooted to the spot. The man looked up and Kate was captivated by his shining eyes. ‘Pain where?’ she whispered. He held out his hands and Kate stared at the long fingers. She was mesmerised as he reached out to take her hands in his own. His skin felt hot and a burning sensation rippled through her flesh. Her bones cracked and, shocked, Kate pulled away. ‘You can heal my fingers?’ She pushed her hands back into her pockets. A drum was beating in the tepee and the Shaman lifted his head to listen. He swept his cloak around his body and with a nod, was gone. Falling leaves began to tumble from interlocking branches lining the edge of the meadow. They fluttered down like multicoloured rain in the cool autumn air. Her debut novel, Coffee, Tea, The Gypsy & Me is set in North West England, at the time of a famous gypsy horse fair. The book went straight to number three on Amazon and was E-book of the Week in The Sun. So, You Think You're A Celebrity...Chef? 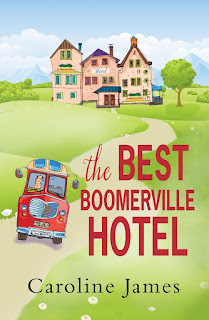 was runner up the Winchester Writers festival for best TV Drama and takes a light-hearted look at the world of celebrity chefs as they battle it out for fame and fortune. Coffee, Tea, The Caribbean & Me was runner up at The Write Stuff, LBF, 2015 and is an Amazon best-seller and top recommended read by Thomson Holidays. Jungle Rock, a romcom novella set in Australia, revolves around a TV game show.